Won for journalism published by The Independent. 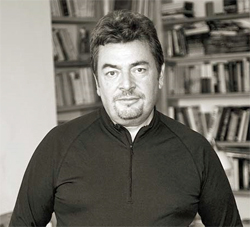 David Aaronovitch is a writer, broadcaster and commentator on culture, international affairs, politics and the media. His regular column appears every Thursday in The Times. A former television researcher, producer and programme editor, he has previously written for The Independent, The Guardian and The Observer, winning numerous accolades, including Columnist of the Year 2003. He has appeared on the satirical TV current affairs programme Have I Got News For You, presented a number of radio and television series and programmes on current affairs and historical topics. His first book, and account of a journey by kayak on the rivers and canals of England, Paddling to Jerusalem, was published in 2000 and won the Madoc Prize for travel writing. In 2009 he published Voodoo Histories, a book on the history and attraction of conspiracy theories.